Walsh Bay has a very active cycling community, so Simmer on the Bay is no stranger to the world of cycling. 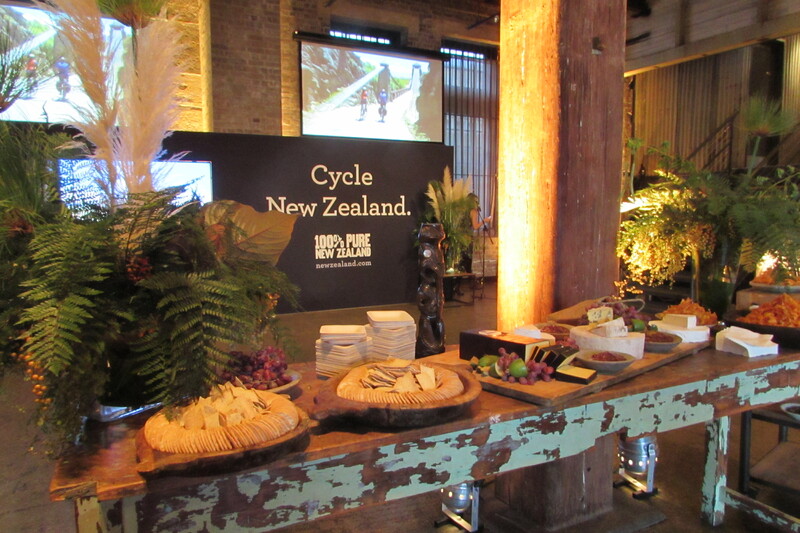 However last week we really got an insight into the amazing places you can ride, when we hosted the launch of New Zealand Tourism’s promotion of cycle trails and mountain biking tracks in NZ. Attended by the New Zealand High Commissioner and the Consul General, who firmly believe that New Zealand is a great destination for an active cycling or mountain biking break, guests were informed about the mostly off-road ’ 23 Great Rides of the New Zealand Cycle Trail’. 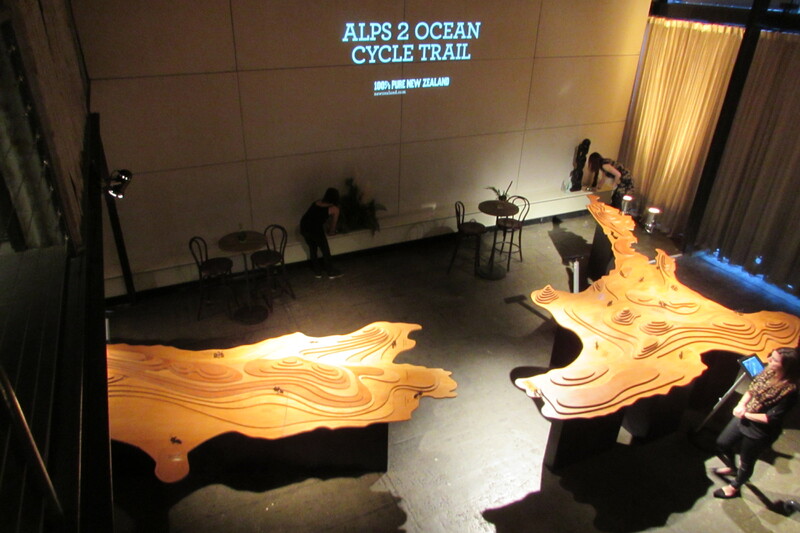 These tracks introduce both recreational cyclists and passionate mountain bikers to nature, national parks and constantly-changing scenery. They also highlight interesting detours to enjoy arts and culture, a warm local welcome and a wealth of off-the-bike attractions. Brigid who is a New Zealander herself, went the extra mile and flew in a stunning selection of New Zealand cheeses and sourced New Zealand specialties such as feijoa, fresh from the farmers market. Accompanying these were delicious New Zealand whitebait fritters, a lamb carvery and sugar cured rainbow trout on potato rosti. For those who over indulged on the cheese, easy riding can be found on trails including the famous Otago Central Rail Trail and Nelson’s Great Taste Trail, where the beautiful coastal route also showcases the region’s wineries, restaurants and artists. Guests who stuck to the fruit may like to try the more adventurous and head for the Queenstown Bike Park downhill tracks. Other popular mountain biking areas include Rotorua, Taupo, Hamilton – Waikatoand Queenstown. 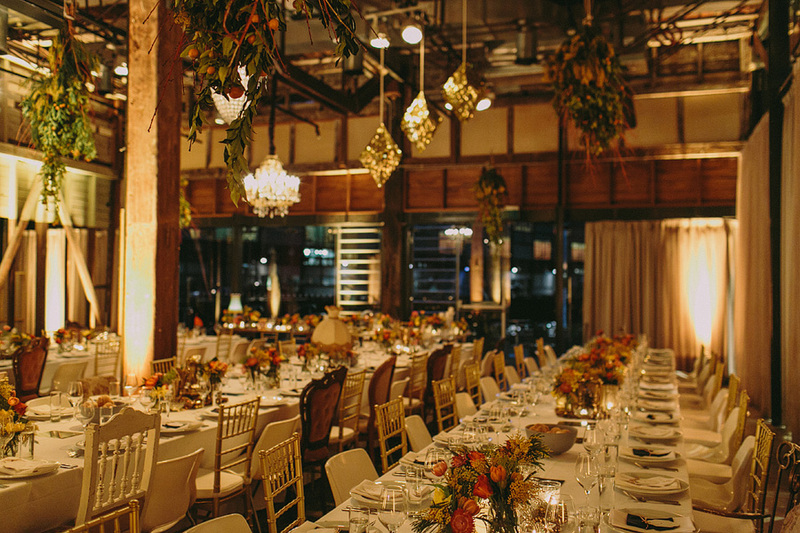 Another fantastic event at Simmer on the Bay and we know where our next holiday will be!